Movie Time! Recommendations specific to formed families are offered at Adoption at the Movies. Social worker Addison Cooper reviews this summer's big screen hits such as Despicable Me 3, Anne, and Captain Underpants and gives families a heads-up about adoption and other formed families themes! Sensory friendly movies are available regionally at area AMC Theaters, Cobb Theater in Leesburg, and Regal Theater in Gainesville. Mindfulness strategies can be critical tools for children, youth and adults. Summer is a great time to learn and master some mindfulness practices that can be used during the school year. Some local therapists and psychologists utilize mindfulness techniques, so ask about mindfulness-based cognitive behavioral therapies and mindfulness-based stress reduction for your family. For teens, mindfulness strategies can reduce stress, increase focus and concentration, and focus on joy and gratitude. Mindfulness for Teens provides a number of resources including downloadable guided mediations and other apps. Looking for other northern Virginia activities at low and no cost this summer? The Dulles Moms website has sections on Free and Cheap, and Special Needs-specific activities. Similarly, the Fairfax Family Fun website links to many activities, events and special needs resources. Still looking for the perfect summer camp experience for the child(ren) in your care? 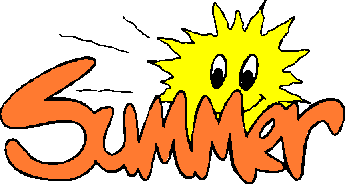 Check out our Summer Camp Lists with links to lists compiled by northern Virginia school systems, recreation departments, and other organizations. Mark your calendar now for Formed Families Forward's fall family movie night on Friday, September 15 in Fairfax. Following a light meal of pizza and salad, children enjoy a G-rated movie while next door, parents and caregivers screen Moment to Moment: Teens Growing Up with FASDs.The hour-long film explores the lives of four adolescents with fetal alcohol spectrum disorders. Group discussion will follow. Reserve your seats now! Q: We parent children who have high ACE scores and are still impacted by past traumatic experiences. How can we prepare their teachers this coming school year to understand their needs? A: Thank you for learning about Adverse Childhood Experiences (ACEs) and the impact they can have on physical and behavioral health outcomes. Fortunately, research shows that children who experienced trauma and live with the impact of traumatic stress benefit from strong, positive relationships. They can develop skills and move towards recovery. The use of trauma-informed practices or strategies at home, at school and in the community is critical to combating the impact of trauma. At a session at the family camp-ference hosted by NewFound Families last week, the audience as introduced to a version of Abraham Maslow's classic hierarchy of human needs, aligned to schools. This may be useful in conversations with teachers and others; parents and caregivers can help identify current functioning and needs of their children. Resources on ACEs, trauma and trauma-informed care are available HERE. A section highlights materials particularly good for sharing with educators, babysitters, after school care providers, coaches, and others who work with your children in the community. July 12- DMV comes to Paxton Campus, Leesburg. July 12- Parenting the Difficult Child: Skills to Take Home workshop, from GMU Center for Psychological Services, Fairfax. $25 per family. July 13- DMV comes to The Arc of Northern Virginia, Falls Church. July 22- Functional Behavioral Assessments (FBA) and Behavior Intervention Plans (BIP), and Monitoring Behavior at Home workshop with Virginia Department of Education, Roanoke. August 3-4- Juvenile Justice Symposium, hosted by PEATC, Richmond. August 22- Back to School: Surviving Reentry webinar, hosted by FFF. September 8- Resources for Individuals with Dual Diagnoses: Navigating Mental Health and Brain Injury Service Systems, hosted by The Arc of No Va, Falls Church and by webinar. September 15- Family Movie Night and screening of Moment to Moment film at FFF, Fairfax. October 5- Love and Logic Basics, hosted by FFF, Fairfax. October 28 - Save the date for Dyslexia Conference, sponsored by Arlington Public Schools, Arlington. November 18- Save the date for Circle of Support conference, sponsored by The Arc of Greater Prince William, Woodbridge. Anytime- Comeback TV episodes for youth and young adults with mental health conditions, from Transitions Research and Training Center at U-Mass. Anytime- Replay of Understanding the Impact of Trauma at Home and School May 2017 webinar, hosted by PEATC and presented by FFF. Are you or do you know a youth age 17-24 who could use some workforce training? Want to get educational support, career development and internships? Learn more about the Workforce Innovation and Opportunity Act youth program HERE. 18 or older with a physical disability? Join a study conducted by Rehabilitation and Research Training Center (RRTC) at Virginia Commonwealth University (VCU) to determine if people with physical disabilities can gain needed information on employment by participating in a Facebook Group on Employment. The study will last for six months. LEARN MORE HERE. Know middle school students who could benefit from Life Skills? Formed Families Forward is offering LifeSkills Training to middle school students, FREE of CHARGE! Our next sessions will be Monday evenings in fall, at Sherwood Community Center in Fairfax City. LEARN MORE HERE. Stronger Together peer support groups for youth/young adults, and groups for parents/caregivers return in October. Let us know if you might be interested. Are you enjoying our weekly Feel Good Story feature this summer? LIKE Formed Families Forward on Facebook and get the latest stories, news, position postings, event updates and information just for foster, adoptive and kinship families! Formed Families Forward is a non-profit organization dedicated to supporting adoptive, foster and kinship families. We are led by a dedicated Board of Directors. We are in search of new Board candidates to help take our organization into the future. Learn more about our Board and complete an application today!